What are Dr. Vance’s Credentials? Dr. C. Vance Cast holds an MBA and a Ph.D. in Organizational Management, with an emphasis on Information Technology and Psychology. He is world expert in Risk Homeostasis Theory. You can order his published dissertation, at the ProQuest Dissertation Express (UMI Publication Number: 3161744) or the University of Minnesota Library (UMI), University of Hong Kong Libraries, as well as many other academic databases. As such, Dr. Vance has applied his deep knowledge in Risk management to trading financial markets, and has been a mentor of many students for over two decades. He is a mentor listed on Ensign Software website, and has many financial relationships with top trading companies and brokers. 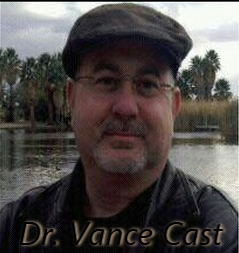 You may also find Dr. Vance has been a top selling author of reversal children’s science books, trade journal articles, and classic novels. What is the trading record of the group, or how many points do you make a week? The answer to this questions is more complex than simple. Dr. Vance is in a professional arena, where mentors and money managers do not measure success in points. Underestimating this, Dr. Vance requires his traders to build a track record of making between 5 and 10 points a week before they start trading live money. He also requires they keep such a record going to continue to advance in their trading. Industry predators have spent decades conditioning the general public a published track record in points is a quantitative measure of success. These people prey on the ignorance of the public to guide them into purchasing “holy grail” trading systems, books, and software that do not work. Any time a company focuses on the supposed track record, one must be very concerned with their next statements. Any true professional will downplay the magical trade signals and misleading point track record, as there is no way to honestly record points and such when several common risk management techniques, such as dollar cost averaging are used. A professional does not prey on the ignorance of rookie traders – a true professional educates in risk management, money management, and in transparency. There are many things Dr. Vance does that promote successful trading. He trades with a trading platform in front of his hundreds of clients every day using his own live money. He hides nothing and leaves nothing the imagination. His group chats freely as they trade alongside Dr. Vance. No other mentor in the world is as transparent, open, and successful with a large group of traders, both new and professional. Obviously, anyone starting a business should do a lot of due diligence, but we get these questions so much, let us help you out a bit. Like all business propositions, you need to look for the negative and the positive, but mostly the risk. Simply GOOGLE us on the Internet for Delta Trading Group, Dr. V Day Trading Academy, and Dr Vance Cast. You will find there are no negative articles. A company as large as us in this business would normally have dozens of negative articles. The fact we have none is incredible. Please note that “Delta” is a common name used in hundreds of companies in the US. We are not affiliated with a Delta Trade Financial or Delta Trade (a food distributor). These companies negative reports somewhere, but we don’t even know what they do, who they are, or anything about them. Dr. Vance is a mentor with Ensign Software. Read his bio above. Ensign would not allow any substandard businesses to be affiliated with them. You can look to the Arizona Secretary of State and find Delta Trading Group, Inc. is is good standing with the corporation commission. You can search for Delta Trading Group, Inc. with the Securities Exchange Commission (sec.gov and EGDGAR) to find there is a publicly listed Reg D private offering. Companies trying to stay under the Federal Governments radar would probably not list an offering with the largest securities regulatory agency in the world. How much does it cost to get into trading? That is an individual thing, depending on your circumstances. That is why we invite you into live trading sessions and assign you a personal representative to help determine if trading is affordable for you. Once you visit us online and understand what we do, we will be happy to discuss value with you. I work, so how can I learn to day trade if I can’t visit the live trading sessions every day (10am-12pm Eastern)? Learn to trade with real data feeds from any day from any of the past couple years. Learn to trade with actual recordings of live trading sessions with Dr. Vance. Build a track record before trading live money. Successfully trade the S&P Emini market live approximately 23 hours a day, 6 days a week. (Market is closed on Saturday and some Holidays). You can use any Futures Brokerage firm you wish; However, you need to understand that if you trade outside our Live Trading hours (or the hours we provide the charts on line), you will need to have a data-feed that is comparable with Ensign charting software. You will need to make sure your brokerage account has such a data-feed, or you will have to take one of the other options available to you. 1. Adobe Connect. We use Adobe Connect as our web-broadcasting system. If you only watch our broadcast to view the Price Charts, then you don’t need a data-feed. 2. Ensign Software. We use Ensign Software as our Charting Software. The charts you see in our Live Action Trading sessions are Ensign Charts. You can either just view the charts when they are broadcasted, or you can have your own. If you want to use Ensign Charting Software on your own, you will need to sign up with Ensign (generally 49.00 a month), and you will need to have a data-feed (See TransAct Below). Consult with Ensign for a list of brokers comparable with Ensign Software. Brokerage Account: at a good inclusive, round-trip, rate. 30-Day Free: Simulated (Demo) platform. Free Data-feed with a funded account:. The data feed is needed to provide Ensign charts with data. If you don’t want to fund an account or have a brokerage somewhere else, TransAct is a good alternative to rent the data-feed. What Tax Strategy and Business entity should I use for day trading. Delta Trading Group and the Academy is an educational entity. We are not brokers, attorneys, tax accountants, or a CPA Service. We cannot give legal and business advise. 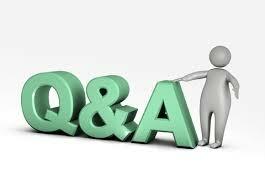 However, we do recognize and great resource that does give advise on trader issues concerning tax and legal strategies. We obviously cannot endorse the advise of others, so do your homework and seek the advise of your personal CPA, attorney and other qualified professionals. That disclaimer out of the way, Trader Accounting is a popular place to start your knowledge on planing. Also, keep in mind, Delta highly recommends starting a personal account with your broker until you learn day trading and decide to make it a profession. We work with private individual traders. We don’t like any distractions while learning the basics of trading. Once you are an established trader, then think about starting a company, using advanced tax strategies, etc. Remember, “THINK IN CRAYON”.